Dealing exclusively with underwater instrumentation, control, and communication technology for subsea oil and gas production, Subsea Control and Data Acquisition has been structured to cover relevant experience and challenges in frontier subsea developments. Aimed at professionals active in subsea production systems, in particular those engaged in the control and monitoring of such installations, and engineers keen to keep abreast of current practice and technologies, this volume covers operational experience of long offset control and monitoring, as well as enhanced oil recovery and discusses relevant topics in subsea and hole monitoring, such as,* Reliability* Enhanced oil recovery* Subsea and down hole monitoring* Long offset control* Subsea communication/control Reliability of systems plays a dominant role, and the effect of regional legislation is not forgotten; this volume includes contributions from experienced experts from major oil companies to challenge the reader. The accompanying CD can be requested from the UK Editorial team. Send requests to Debbie Cox, decox@wiley.com. 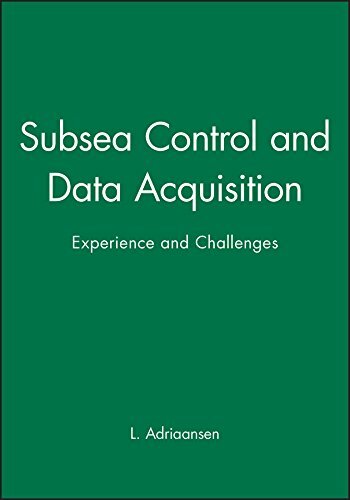 L. Adriaansen is the editor of Subsea Control and Data Acquisition: Experience and Challenges, published by Wiley.